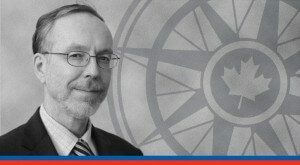 OTTAWA, June 12, 2015 – It may surprise many observers, but the Canadian tax and transfer system is already having a significant effect on reducing inequality, says MLI Senior Fellow Philip Cross. In a new commentary paper, Cross calls on governments to leave aside the current obsession with income inequality, tax benefits and mandatory retirement savings, and instead debate policies that encourage more businesses to invest and grow the economy, to the benefit of all. “In the debate about the economy, everything seems to be fixated on redistributing income, and I think we've become so wrapped up in that analysis... we forget the number one solution to all these problems is good economic growth”, says Cross. The commentary, titled “Missing the Bigger Economic Picture”, is based on comments Cross made to members of Parliament sitting on the House of Commons Standing Committee on Finance as they heard evidence on implementing certain provisions of the recent federal budget. To read the full commentary, click here. Cross draws on his research for a recent MLI paper to show that Canada’s tax and transfer system is very progressive, and has gotten more so over the years. Part of the reason why this surprising conclusion is overlooked in the debate about income inequality is because most analyses look only at the impact of taxes. By contrast, Cross’ research adds government transfer programs, such as old age pension and employment insurance, to the equation. This reveals that the highest two income brackets are responsible for paying the vast majority of money that goes to other income groups. “For 35 years Canada has moved to a system of higher transfers and lower tax rates for 80 percent of the population being paid for by the highest 20 percent of earners”, Cross says. On the subject of retirement savings, Cross contends that much of the recent debate is misguided, and based on scaremongering by vested interests. He says that Canadians are saving more than they need for retirement, and so increased contributions to the Canada Pension Plan are not necessary, particularly not mandatory ones. In a wide-ranging discussion, Cross also dismisses the effectiveness of balanced budget legislation, and notes that beyond the current debate over sick leave benefits in the public service, an examination is required of the costs of the entire leave-benefits package for federal employees. But Cross’s major concern is that the federal government should be focusing on what the recovery from the most recent recession has been lacking: business investment. Philip Cross is a Senior Fellow with the Macdonald-Laurier Institute. He previously served as the Chief Economic Analyst for Statistics Canada, part of a 36-year career with the agency.